Halloween would be an entirely different affair if we all had fairy godmothers. Here is Cinderella's best gal pal, the Fairy Godmother, transforming an ordinary pumpkin into a magical carriage with a wave of her magic wand. 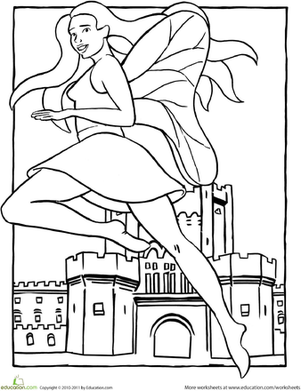 This fantastical fairy is flying high above the city skyline! 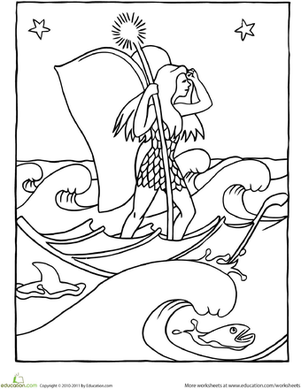 Can your child color in this breathtaking view? If your kid loves fairies, invite her to check out this cute fairy tea party. 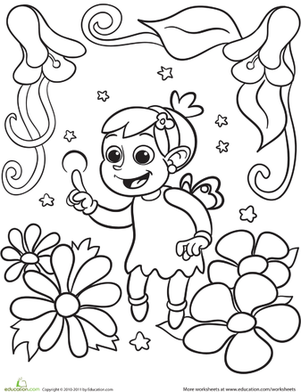 This coloring page has a honey-sweet scene of the Bumble Bee Fairy and her friends! 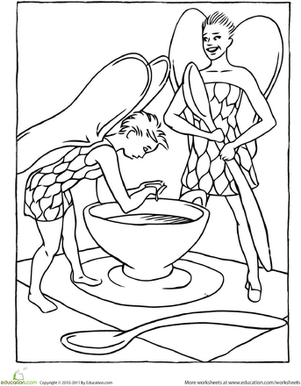 Can she put the wings on the fairy in this coloring page? 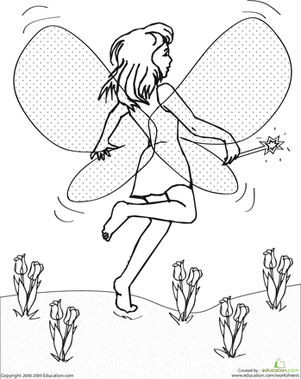 Use your imagination and crayons to color in this Frisbee yielding fairy. 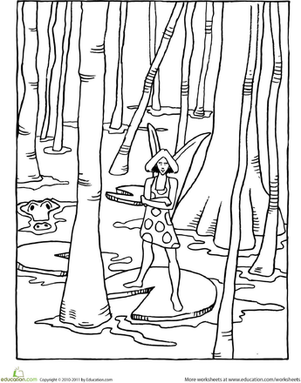 Encourage your kindergartener's artistic ability by having her color a baseball-playing fairy. 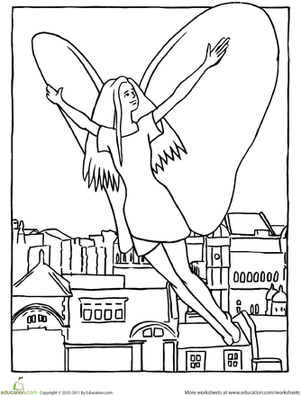 Kindergarteners will enjoy using their creativity to color in Lovely on the Lanes, a bowling ball toting fairy.